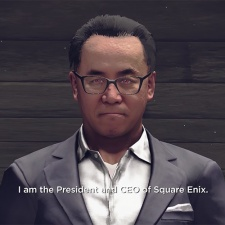 Japanese publisher Square Enix has announced a partnership with Chinese tech and entertainment behemoth Tencent to develop a new triple-A franchise. The Final Fantasy giant says that a "letter of intent" has been signed in order to create "a strategic alliance" between the two companies. The end result of this team-up will be some new triple-A IPs co-developed by the two Asian giants, but it also includes the creation of a "joint-venture company". What this means exactly is unclear, but it's possible the duo will be creating one or more development studios to handle these new projects. There's no word on the focus of these games beyond them making use of Tencent's internet capabilities and Square Enix's creativity. Our sister-site PCGamesInsider.biz has more on the story. Which mobile game stocks performed best in 2017?